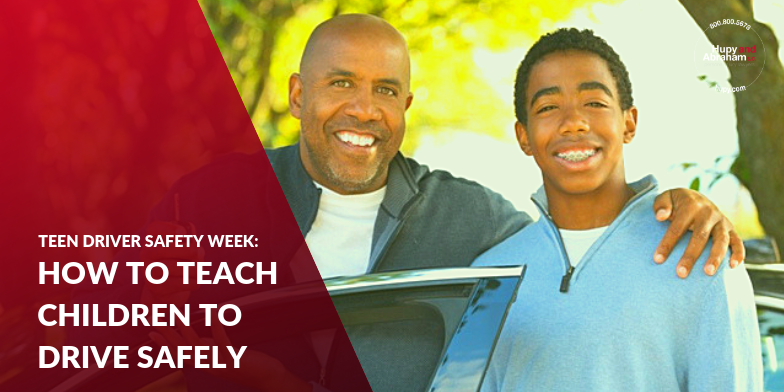 National Teen Driver Safety Week Is Not Just for Teens | Hupy and Abraham, S.C.
National Teen Driver Safety Week is not only an important opportunity for parents of teenagers, but it is also an important opportunity for parents of younger children. Your child’s driving education and safe driving habits start long before your child gets a learner’s permit or an initial driver’s license from the State of Illinois and, as is the case for most things, your child’s first and best teacher is you. Always use a turn signal. Always be a courteous and careful driver. Never hold your phone and drive or text and drive. These things will not only teach your children what to do when they get behind the wheel to avoid car crashes, but they will also keep your children safe while you are still the driver. Complete a driver’s education course. Drive with you often, at different times of day, and in different weather conditions. Understand Illinois’ graduated licensing laws. Enter a driving contract with you so that the rules of driving are clear and the consequences are predictable. In 2018, National Teen Driver Safety week begins on October 21 and ends on October 27. We hope that you will use this time to begin talking to your kids about being safe drivers, but we hope that your actions will not end on October 27. Instead, let’s keep the conversation going and take steps to protect our kids, and everyone else’s kids, on Illinois roads.